Here is the description of purifying effect of quartz chips. 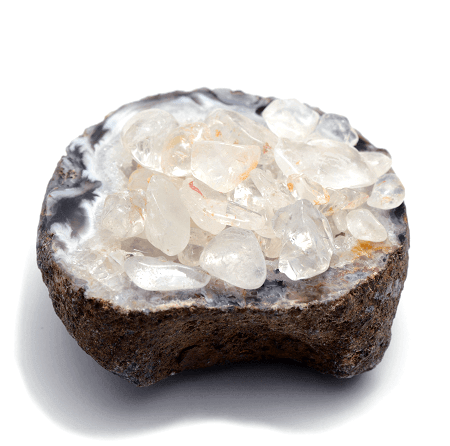 Quartz chips have the effect of purifying gemstones. It is not expendable, so it is very convenient for everyday maintenance. There are 2 effects of purification. It is like “eat a lot and take a bath” in human daily life. 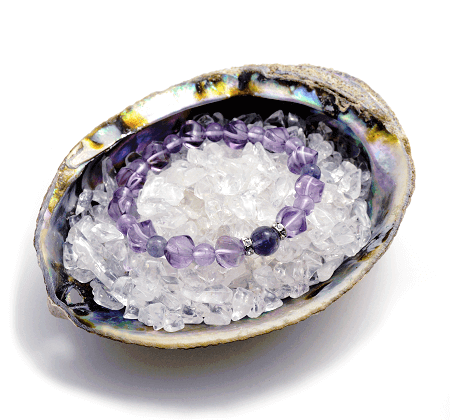 If the gemstone has good energy, the owner will have positive energy. When you feel like you are tired, please try purifying with quartz chips. Put the gemstone on the quartz chips to purify. It is very easy to use. <1> Prepare a plate for quartz chips. Have a plate or a container that is big enough to put quartz chips in. If you can’t find one, look for a good one at general stores or pottery shops. When your container is ready, put in and spread quartz chips inside. It would be nicer if you can have the depth of more than 1cm (about 1/2 inch). You can also heap up like a small hill. Put the gemstone that you want to purify on the quartz chips. It is also acceptable to pile up several gemstones. If there are too many gemstones that some of them don’t touch quartz chips, please have more quartz chips or have another container. 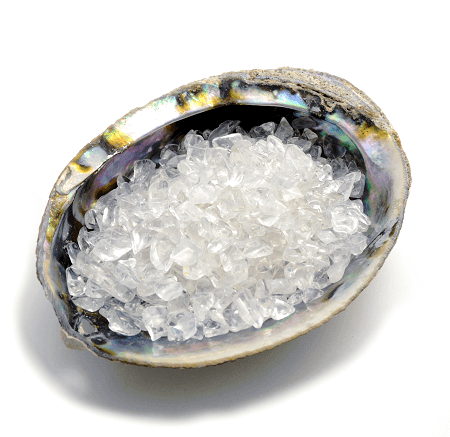 You can also purify gemstones by getting quartz chips in kilograms and burying in them. It has better purifying effect than putting on the quartz chips. If you have more budgets, please consider doing purification this way, too. We recommend more than 6 hours for purifying with quartz chips. It would be good to start purifying when you get home or when you go to bed. There is a limit for energy storage amount, just as same as battery charge of mobile phones. It won’t do any more than purifying for a day even if you purify for 100 hours. Purifying time is enough if it is more than 6 hours. However, it is good to put a gemstone that you don’t use for now. It will just keep the best condition even if you put a gemstone on quartz chips for months. If you are leaving it for more than a week, please put a cloth over them so they won’t get dust all over. 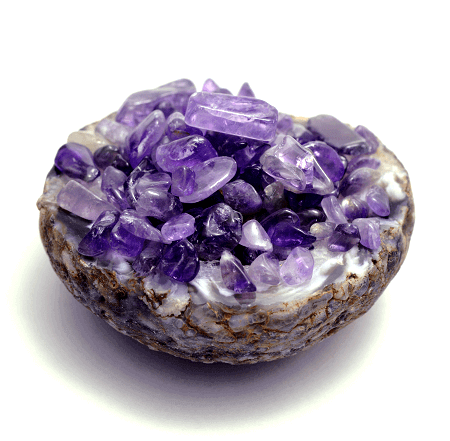 Since quartz chips are not expendable, you can purify gemstones every day. It is good to say a home for gemstones is on the quartz chips. If you are not using the gemstone, it is better to keep it on quartz chips. It is good to have purifying effect every day more than once in a few days. If you don’t have any special reasons, please put your gemstone on the quartz chips every day. There are many types of quartz chips. Regular ones are listed below. It has the meaning of increasing mental power in addition to purifying effect. It has the meaning of increasing charm in addition to purifying effect. It has the meaning of increasing creativeness in addition to purifying effect. 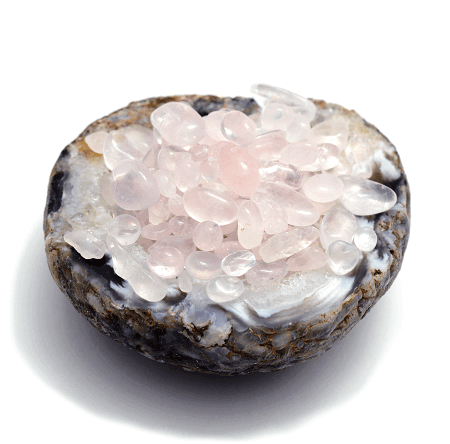 It is a special type of quartz that is mined in a holy place, Himalaya. It has very high purifying effect. * Other types of quartz chips don’t have stable distribution. You may not get them depending on the time. Please check the store beforehand if you need them. Please remove dust about once a month. Dust will obstruct purifying energy. By doing the maintenance on a regular basis, you can keep good purification effect of quartz chips. Please clean quartz chips when you clean your room. Use water to remove dust. Put quartz chips in a basket or a strainer and hit running water on them. One minute of washing time is enough. Tap-water is fine for cleaning. Strain water well and dry them outside or at the window. You can use them for purifying on the day if it is dried well. Purifying with quartz chips is almighty. 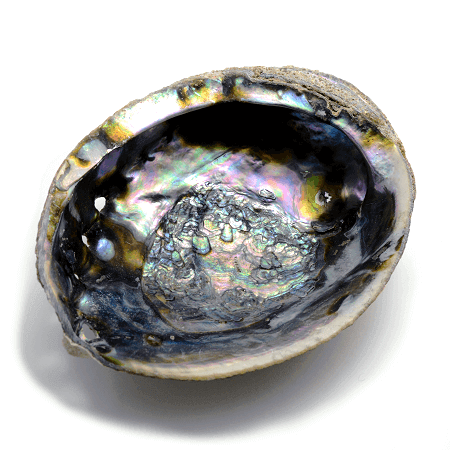 Almost all kinds of gemstones can be purified. Quartz chips will be really useful if you are collecting gemstones. 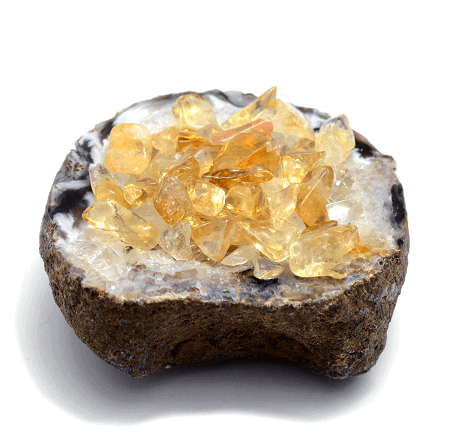 You can purify big gemstones and small gemstones by adjusting the amount of quartz chips. They are both purifying methods using Quartz. Quartz chips are easier to afford, but the power is lower than quartz cluster. 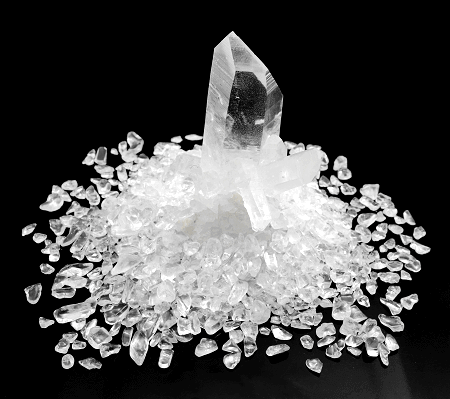 Quartz cluster is more expensive, but it has stronger purifying power. It is your choice to consider which is important, the price or the power. Please choose the best method for yourself. Usually, quartz chips are sold for a few ten dollars a pack. The price varies by its quality and amount. The ones with good chip shapes or high-clearness are expensive. A big pack is also expensive. If you want them in kilograms, you will need about a few hundred dollars. You can buy quartz chips at gemstone shops. Some shops don’t have them, so it would be better to check before you go to the shop.